I provide services to help with your personal fitness goals to suit your lifestyle. No matter where you live, we will stay connected through video chats, phone calls and emails. My Online Fitness Lifestyle programs includes an initial assessment, fitness and wellness consultation, personalized exercise and nutrition plan, plus weekly check-ins to help you stay focus! *MORE DETAIL INFORMATION: Certified Fitness Trainer (CFT) have comprehensive knowledge of anatomy, kinesiology, injury prevention, supplementation and nutrition, and all aspects of resistance training. Specialist in Fitness Nutrition (SFN) lays down a strong foundation in the science behind nutrition, that helps you discover how your body balances out the food you eat with the work it does. Specialist in Exercise Therapy (SET) help train clients that are suffering from a wide variety of injuries and illnesses. I'm married with two kids, we are a family that love exercising and playing sports. I've been in the Military for over 15 years as a Human Resource Personnel and a Physical Fitness Training Leader (PTL) for 6 years. I'm also a Certified Master Fitness Trainer and a Fitness Lifestyle Consultant. 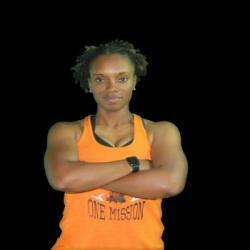 My passion and purpose is to help others live a healthy fitness lifestyle.